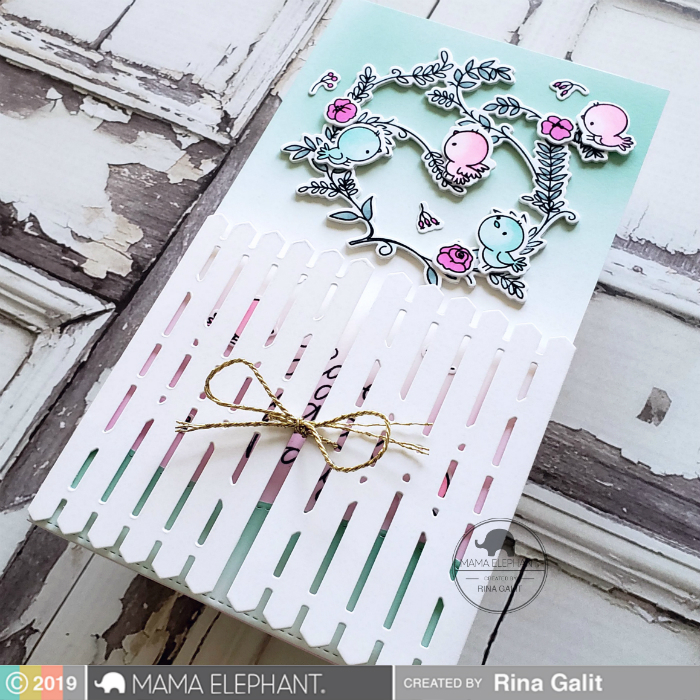 mama elephant | design blog: INTRODUCING: Birdie Wreath, Gatefold X Fence CC... and Rina! 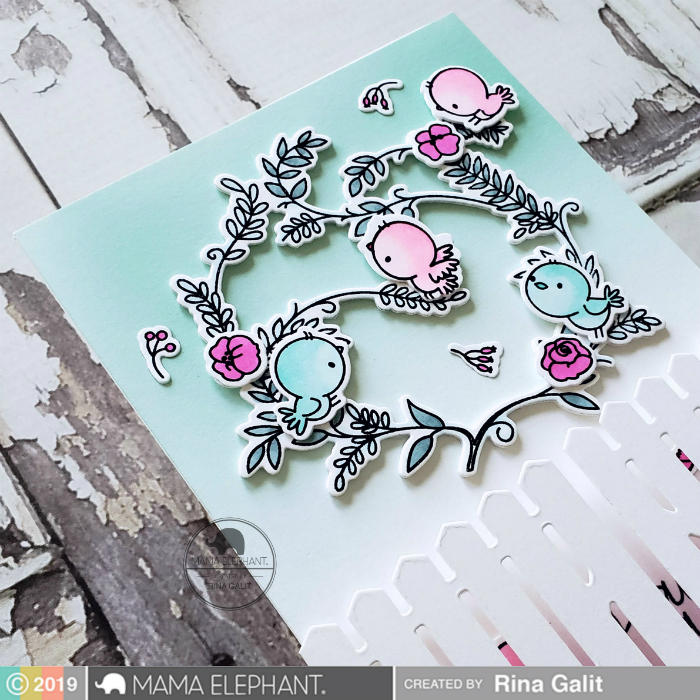 INTRODUCING: Birdie Wreath, Gatefold X Fence CC... and Rina! 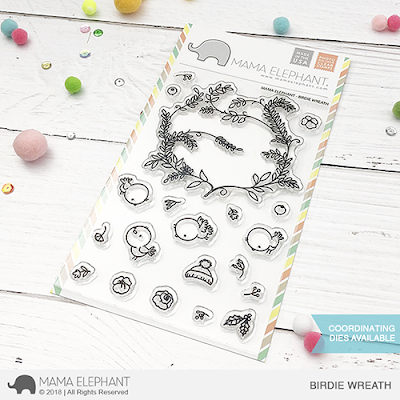 Hi and hello everyone, we are introducing a super cute new set called Birdie Wreath today! Birdie Wreath was illustrated by the mega talented Aida Zamora, the talent behind quite a number of fan favorites like like Dandelion Wishes and Flying With Friends, amongst many others! There is just an indescribable charm in everything Aida illustrates that brings a bring to your face! Birdie Wreath is just the sweetest little set, with a beautiful leafy wreath as the focal point. Aida added many elements to decorate the wreath -- you've got flowers and berries perfect for Spring or hollies for Christmas cards! And those birdies add the perfect finishing touch! This is a set that can be used year-round! 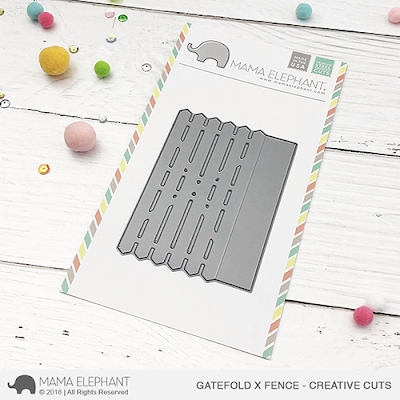 Also introducing this nifty little die set called Gatefold X Fence As its name suggests, you simply double die cut it to create a gatefold card! It couldn't be any easier! Think barn yard doors for that whimsical touch! Today's project is brought to you by a new addition to the ME family, Rina Galit (@craftmusubi)! 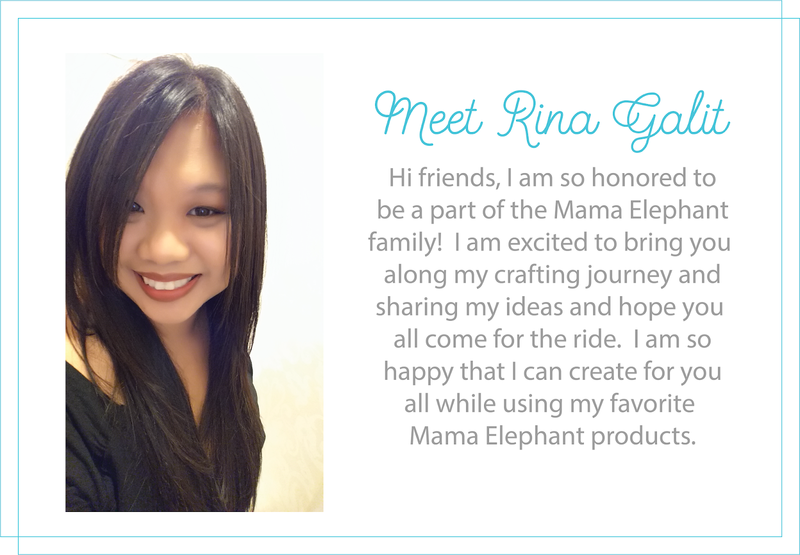 We are so fortunate to have Rina join our team of amazing designers. She brings to the pool of talent a beautiful touch of femininity to all her projects that we have been completely head over heels swooning over! Check out Rina's first project here, just absolutely gorgeous down to the details! Swoon-worthy, right? Isn't Rina just like the perfect fit for us? We are so lucky to have Rina share her awesome crafty skills with us from now on! And it's going to continue tomorrow! See you then! Love this stamp set and the gate die. Congrats to Rina!! She is extremely talented and I think will be a fabulous addition to your team. I adore her work. Can’t wait for this set! The birds are so adorable. Adorable card!!! This set is going on my wish list!! 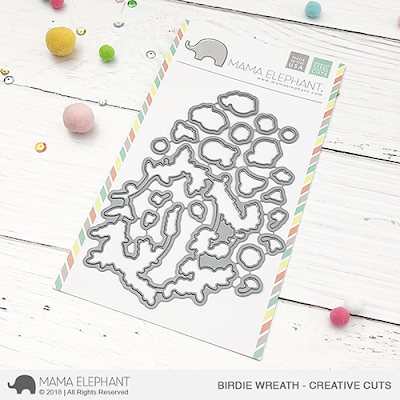 Sweet samples with this adorable stamp set and the awesome die! What a beautiful card by Rina! I love wreaths and this one is adorable with the little birds. So sweet!